My husband says I hit the jackpot on this house.....he calls it the old house trifecta: Asbestos, Mold & Lead Paint. And since the house has been vacant for several years, it seems particularly stuffy and unlived in. 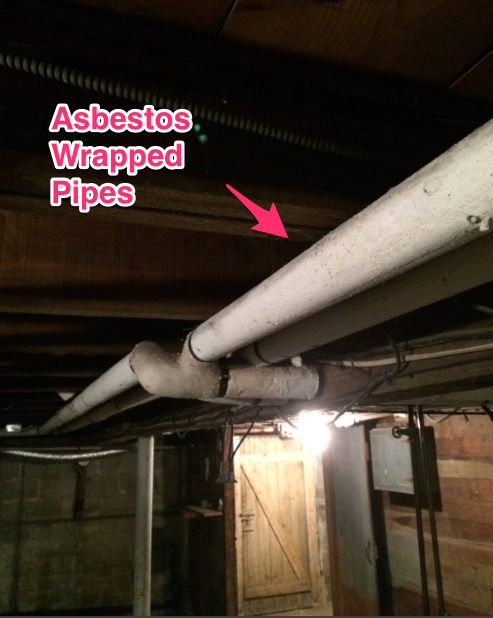 Asbestos - The Owners Unit has asbestos wrapped pipes coming out of the old furnace and covering all the heat pipes in the basement. 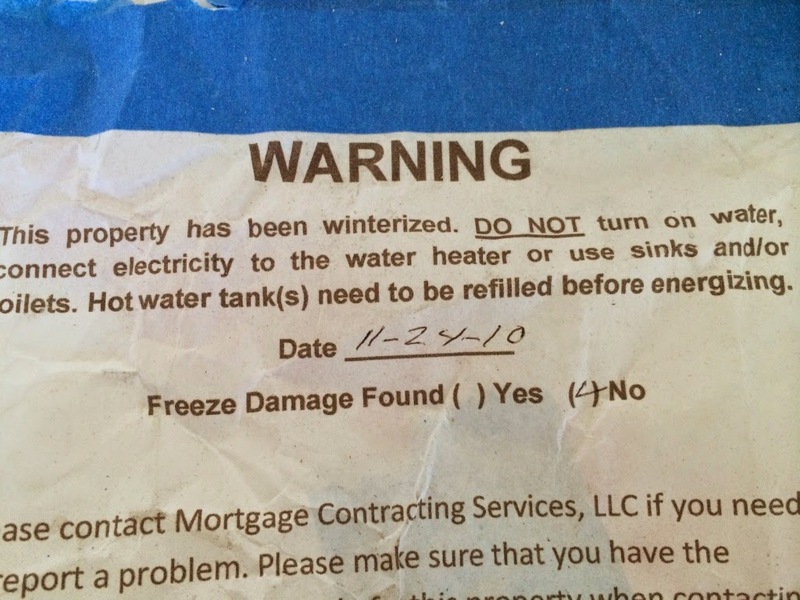 And we suspect that underneath the cover, the furnace is wrapped in asbestos as well. 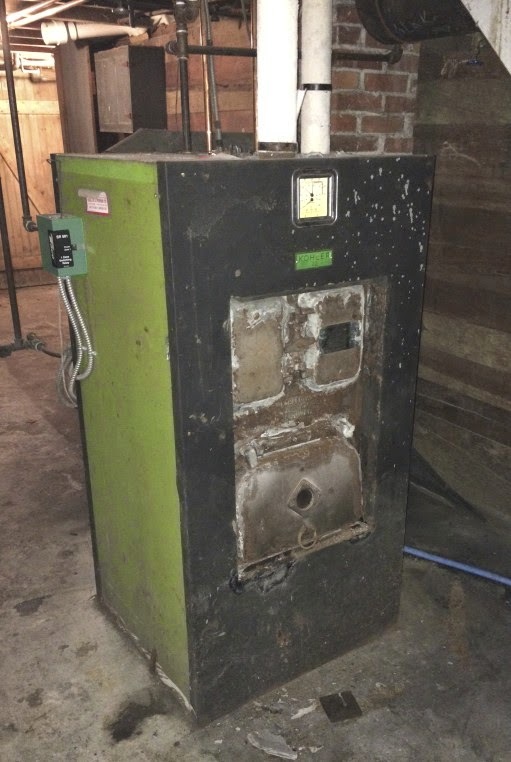 So that will need to be taken care of by a licensed asbestos removal company. Cha ching cha ching.....that will be pricey! Mold - We heard from the neighbor that she heard the house had mold. Yeah, I know, not very definitive and we haven't seen anything that looks like a problem. 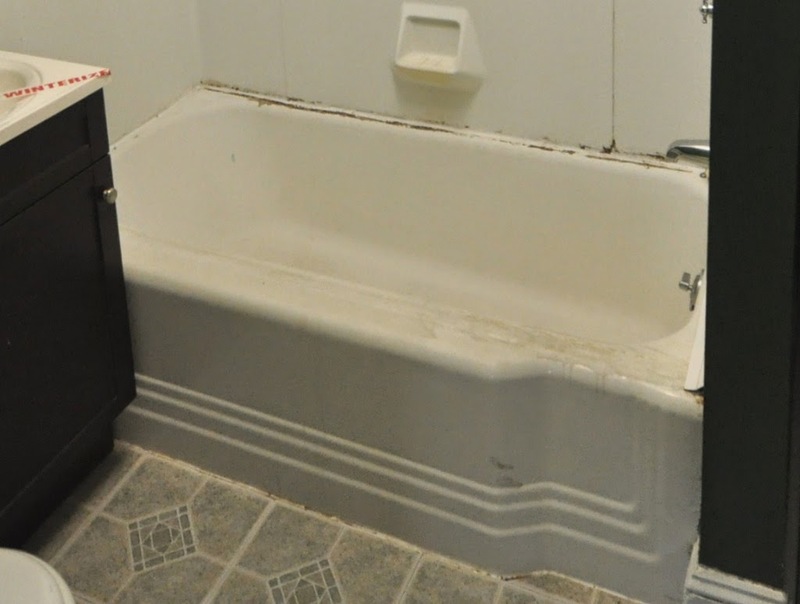 But the bathrooms are pretty nasty with mildew all around the bathtubs. Good thing we're just tearing all this out for new tubs and bright, white tile! Lead Paint - Any house built before 1978 has lead paint (My father always told me the higher the lead content, the higher quality of paint!!). But of course, now we know that it isn't safe and needs to be handled carefully, particularly if you have peeling paint. The good news is we don't seem to have peeling paint anywhere in the building, except for some of the ceilings, and they'll get covered with new drywall. Want to know more about how to do a lead safe job? Click here to see a project we did last year. Of course we'll deal with all of this appropriately - once we really know what we really have. Stay tuned as we start demo and learn what other surprises we have in store!